When a new baby joins your family, so do tons of flannel receiving blankets. They come home from the hospital, they arrive as gifts, and before you know it, you have way more blankets than you need. Whether your little bundle has graduated to toddlerhood or is still a wee little thing, you’re probably wondering what to do with your surplus of cozy blankets. 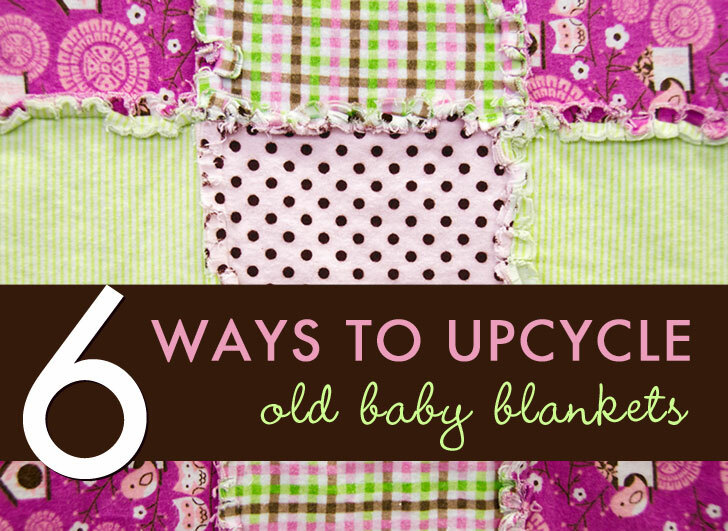 With a little time and some basic sewing chops, you can upcycle the receiving blankets you no longer use into a variety of useful items for your whole family. Here are 6 simple yet ingenious methods for giving new life to those stacks of soft blankets cluttering up your baby's dresser drawers. One of the most logical ways to reuse a flannel receiving blanket is to make baby wipes. Whether you’re using cloth diapers or going the disposable route, cloth baby wipes are a great addition to your baby care arsenal. The flannel used in receiving blankets is perfectly soft for baby’s tender skin — that’s what it’s made for! 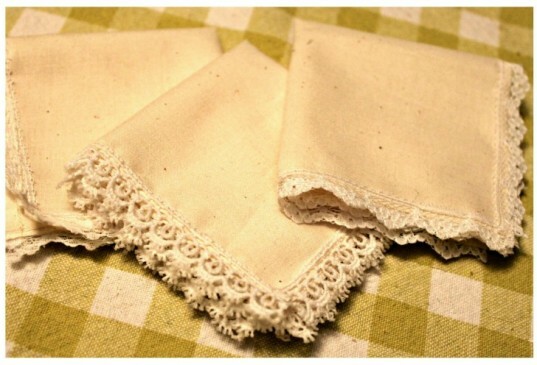 A growing trend in the eco-friendly family world is “People Towels,” the cloth alternative to paper towels. Use them for mopping up little messes, drying hands after washing, or any other time you’d normally reach for a disposable paper towel. Make a set for each family member, or even add snaps to create a “roll” for everyone to share. Read our review of PeopleTowels here. Parents need all the anti-stress tools they can muster. 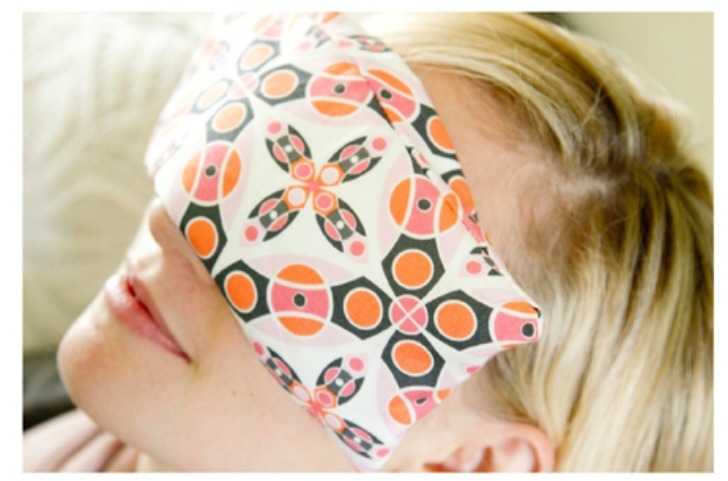 Make an herbal eye pillow stuffed with flax seeds and dried lavender flowers, to use during meditation, at bedtime, or whenever you need just one more moment to feel yourself breathe. These can be sewn in a few minutes with a machine or by hand, and they make a great gift, too! The thick flannel material of receiving blankets is perfect for cat toys because it is durable, yet breathable enough to allow the tantalizing scent of catnip to sneak through. 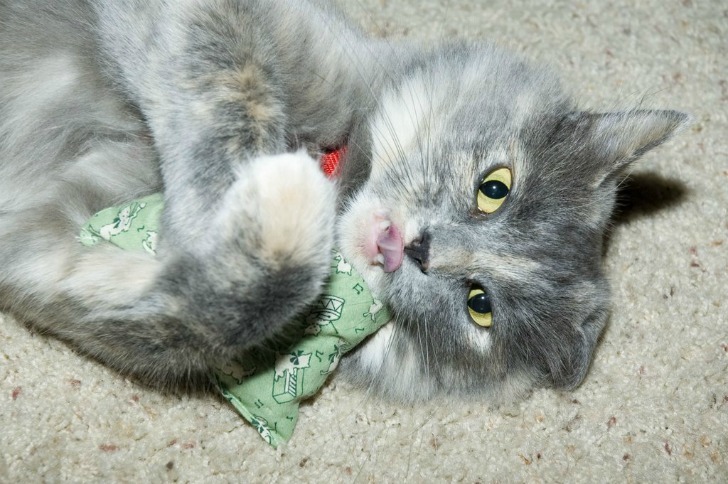 Sew into squares, circles, or mouse-shaped pillows and stuff with organic dried catnip as a special treat for your feline friends. Disposable facial tissues are not eco-friendly, and they’re expensive, messy, and tend to rub stuffy noses raw. Make your own reusable handkerchiefs from soft flannel as a much more comforting option. Add embroidered initials to make a set for each member of your family. If that pile of discarded receiving blankets makes you weepy-eyed for the newborn days, you might want to recycle them into a useable keepsake that your little one can treasure for years to come. Make a rag quilt by sewing squares of flannel together, leaving the edges exposed and left to ruffle in the wash. 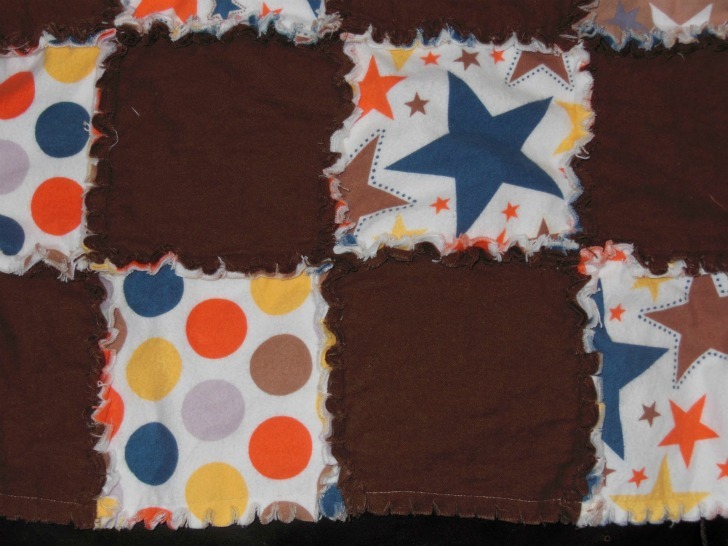 This quilt gets cozier with age! 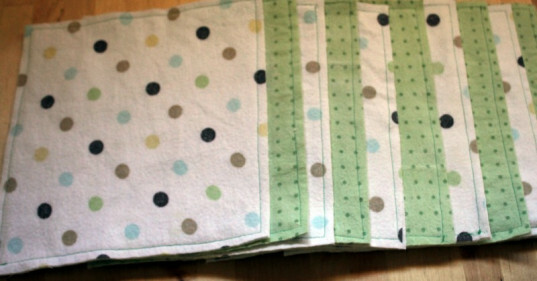 One of the most logical ways to reuse a flannel receiving blanket is to make baby wipes. Whether you’re using cloth diapers or going the disposable route, cloth baby wipes are a great addition to your baby care arsenal. The flannel used in receiving blankets is perfectly soft for baby’s tender skin -- that’s what it’s made for! Disposable facial tissues are not eco-friendly, and they're expensive, messy, and tend to rub stuffy noses raw. 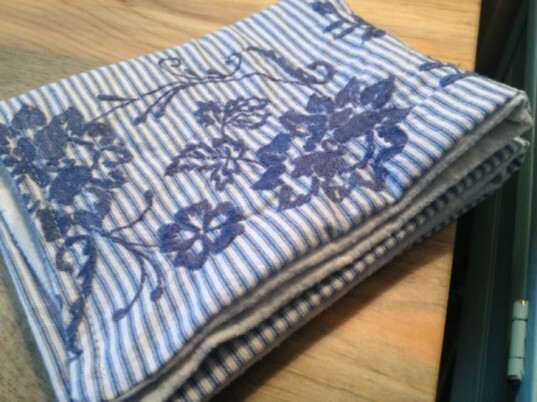 Make your own reusable handkerchiefs from soft flannel as a much more comforting option. Add embroidered initials to make a set for each member of your family.